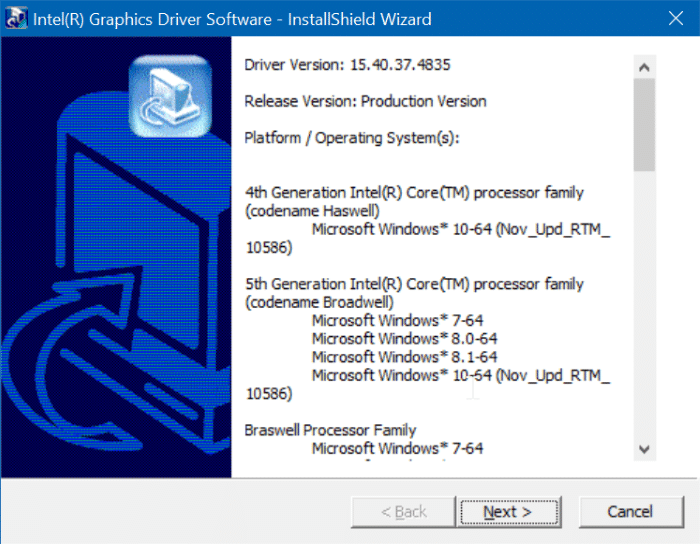 Graphics or video card driver is one of the first drivers that we install after performing a reinstall or clean install of Windows operating system. 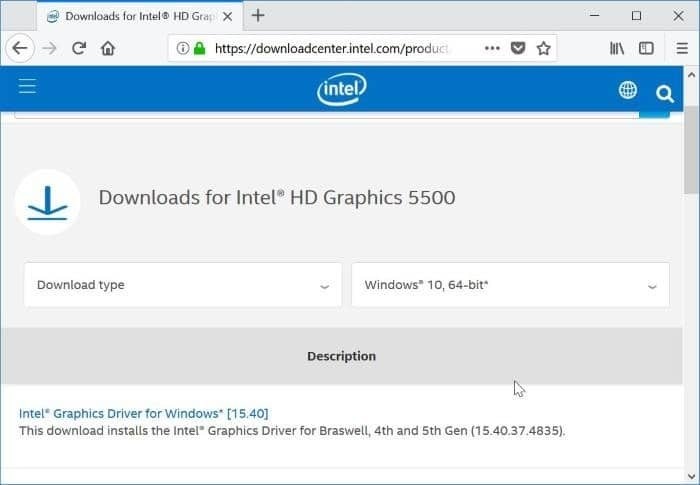 Windows 10 automatically downloads and installs graphics driver and other important device drivers in the background by default, making it easier for users to start using their Windows 10 computer without having to manually install device drivers. When the video or graphics driver is corrupt or not working, you might get a BSOD (Blue Screen of Death) or other errors. For instance, “Display driver stopped responding and has recovered” is one of the common errors that you get when the video driver is not working properly. If you feel that your PC’s video or graphics driver is not working, reinstalling the driver is the perfect solution. That said, if you are experiencing issues after updating the driver, you can roll back the driver to restore the previous version of the driver. 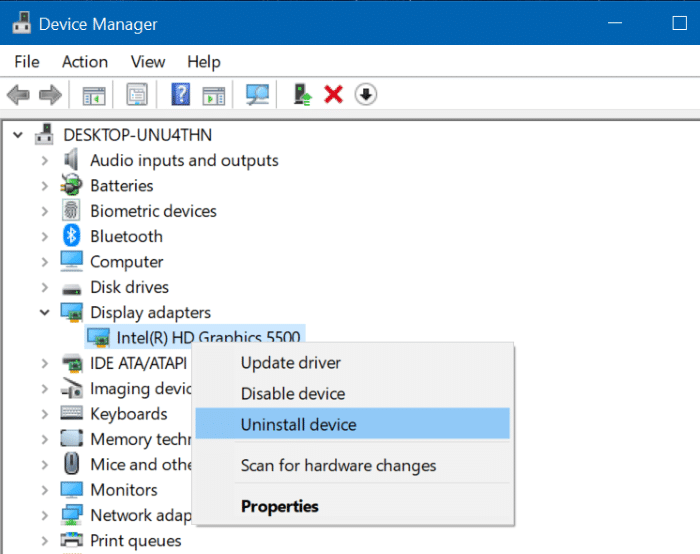 Complete the given below directions to reinstall the graphics, video or display driver in Windows 10. Step 1: Right-click on the Start button on the taskbar and then click Device Manager to open the same. 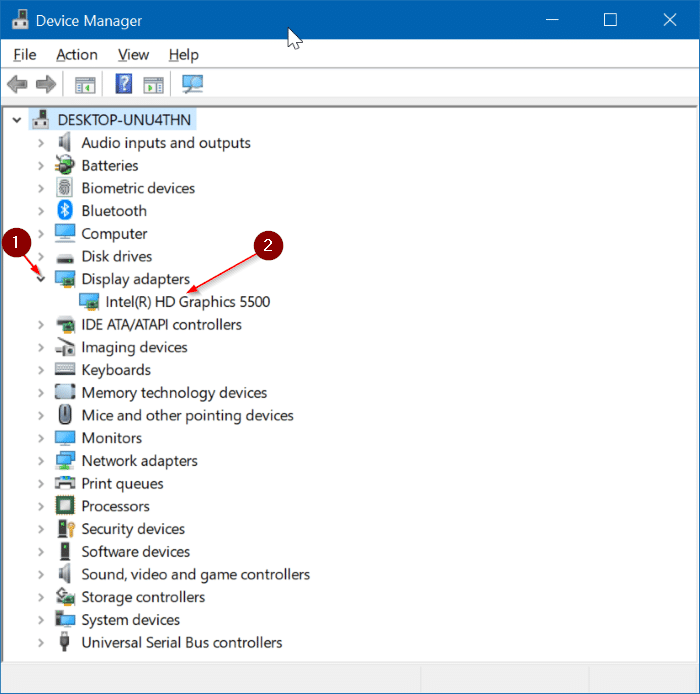 Step 2: In the Device Manager, expand Display adapters to see your graphics, video or display card entry. If you have multiple video cards, all of them will appear here. Step 3: Note down the video or graphics card name and model number. Visit the graphics card manufacturer’s website or your PC manufacturer’s website and download the latest version of the driver for your video card or PC model. Or simply search the web typing the name and model number of the graphics card to find the correct driver quickly. Be sure to check if you are running 32-bit or 64-bit Windows 10 and download the right type of driver. Step 4: In the Device Manager, right-click on the graphics card entry and then click Uninstall device option. Again, if you have multiple video cards, right-click on the one whose driver you want to reinstall. 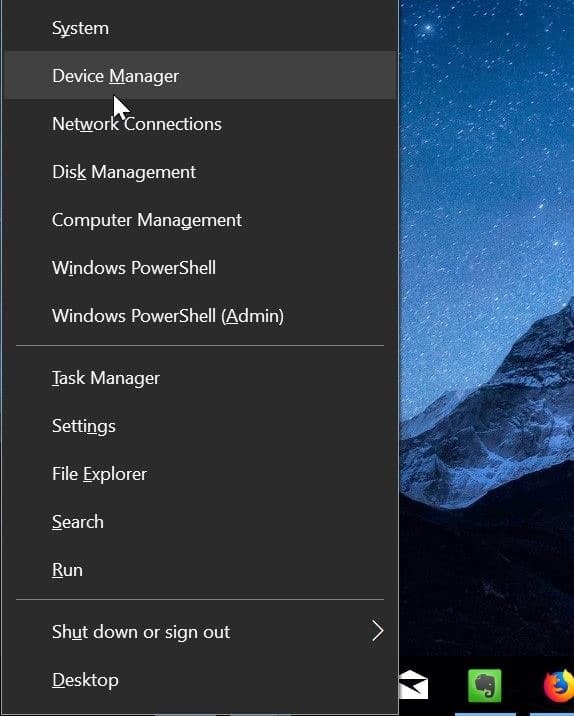 Step 5: When you get the following confirmation dialog, select Delete the driver software for this device check box and then click Uninstall button. Once the driver is uninstalled, reboot your computer once. Please note that it’s important to reboot your PC to uninstall the device driver completely. 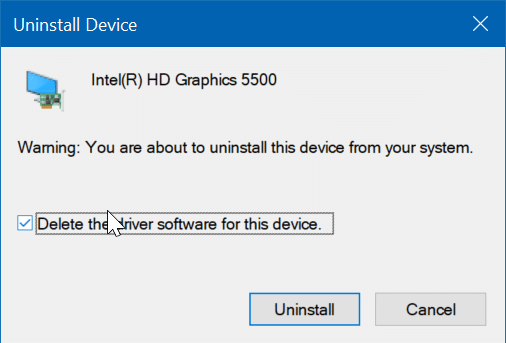 And if you are having any issues while uninstalling the graphics card driver, use the Display Driver Uninstaller (free) software to remove the video driver completely. Step 6: Finally, after rebooting your computer, run the setup file of the video driver that you downloaded in Step 3. Follow the on-screen instructions to complete the installation. Restart your computer if the setup file asks you to do so. That’s all! You have successfully reinstalled the video, graphics or display driver in Windows 10.